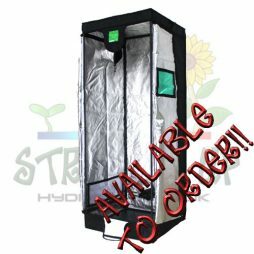 The 600w Omega Black Light Kit is a budget friendly set up that still has plenty to offer the indoor gardener. The kit has a digital ballast instead of a magnetic one, making it about 30% more efficient on electricity use. Even better, you get a dimming switch too, adjustable from 250w, 400w 600w and 660w (super lumen) so you can easily adjust output. 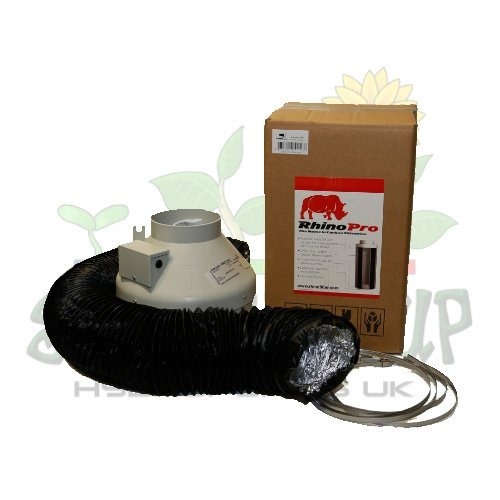 They are also compatible with both HPS and metal halide type lamps that have a standard E40 fitting. Omega Black Digital Ballasts feature soft start technology to help protect lamps and reduce electricity spikes. 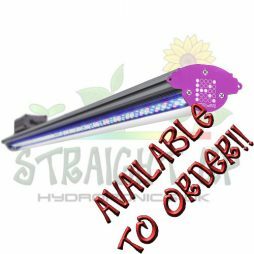 The Omega Black Light kit includes an Omega Black HPS lamp that will give flowering plants plenty of light. 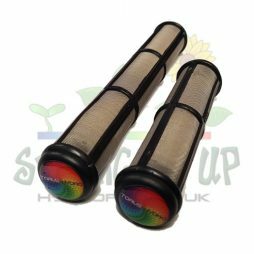 They feature high lumen output and a lifespan of 24.000 hours so you’ll definitely get your moneys worth out of them! Each Omega Black Light Kit comes with a Eurowing Reflector as standard. 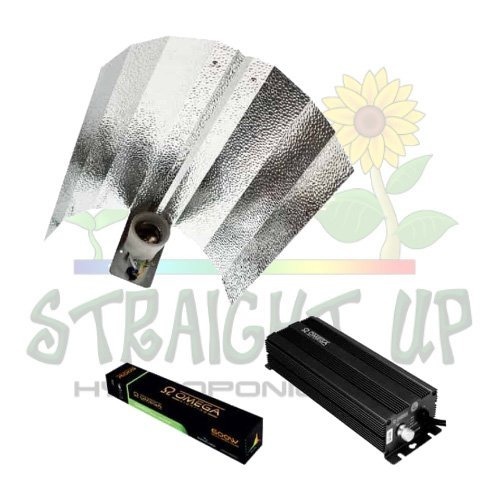 These are the staple reflector that many growers use as they offer great light spread and low price. The surface of the reflector has dimples across it to reduce hot spots and the V ridge further disperses heat and evens light spread. The reflector also comes complete with a ceramic E40 lamp holder for better heat resistance. The 600w Omega Black Light Kit is a great lighting kit for those that are just starting out and are on a budget, or for those that need many systems to cover a large area. 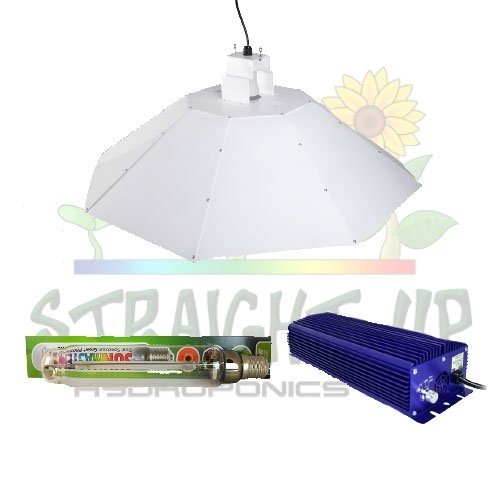 At Straight Up Hydroponics, we have a range of other lighting products available. These include lamps from many different manufacturers as well as a multitude of ballasts and reflectors. There is sure to be something to suit your needs and budget! To have a look at what we have, please follow this link.